Query logs are very useful, as they provide the record of the queries executed against the databases. These can help the programmers, Database developers and Administrators as well in trouble shooting the problems that sometimes arise. Additionally, these logs also play a very vital role in a scenario where transactions are performed against the database very much frequently for example in the case of banks, airlines etc. In MySQL, query log feature is not enabled by default; however we can enable it through just some simple steps. 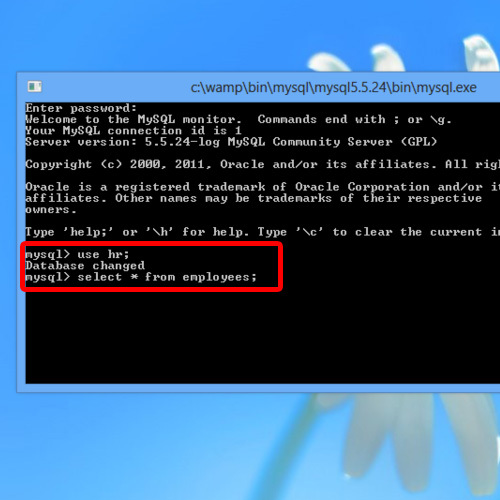 So in this tutorial we will focus on the same task, which would be to enable MySQL query Log. Here, file_log is the filename, it can be any name over here but .log should be the extension of all the log files. Now just save the file and then close it. Restart the Wamp services for the changes to take effect. 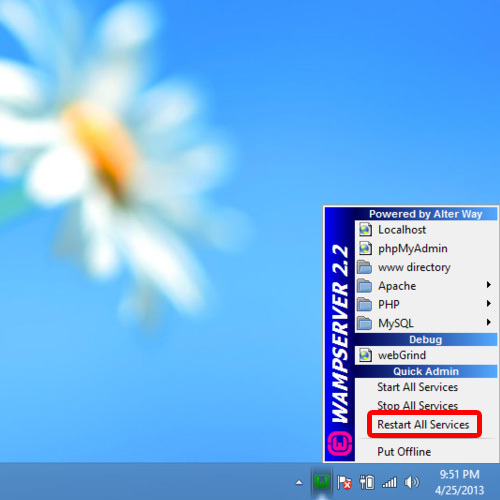 For that, click on Wamp Server icon located on the taskbar usually, and click “Restart All Services” option. Having done that, let’s open up the MySQL console to write a query to see whether it’s logged or not. 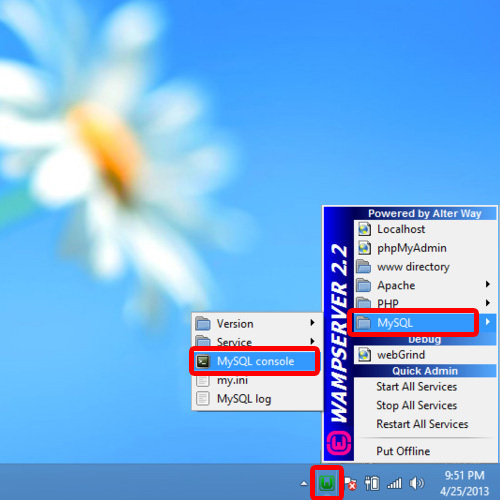 For that, click on Wamp Server, move to MySQL folder and then choose MySQL console option from the list. Now let us just write a simple query just to check whether mysql query logging has been enabled or not. 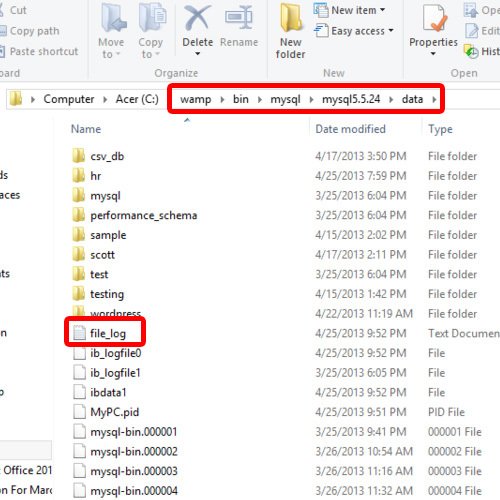 To view the log file, open up the Data Folder in the MySQL directory. 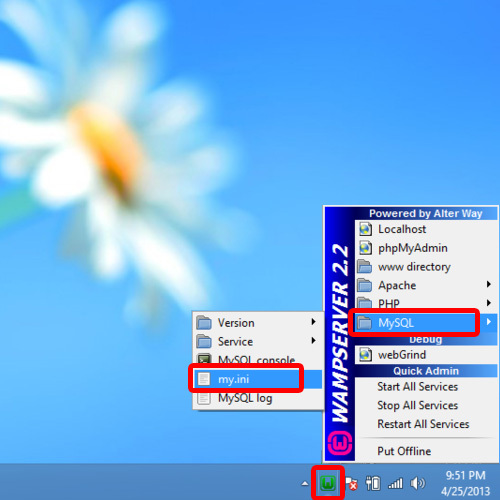 In this folder, we will find and open the log file that we specified earlier. 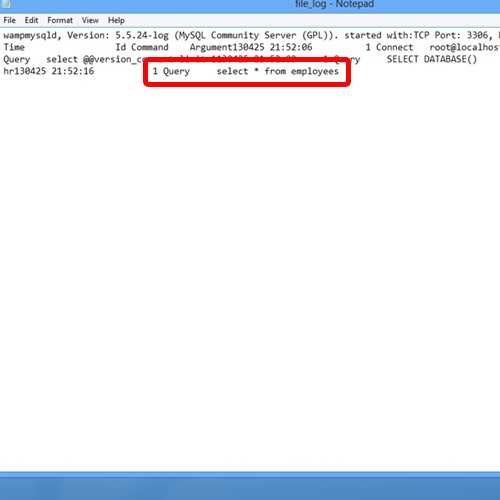 Once we open up the log file, you can see that all the details regarding the query that we entered are logged here. 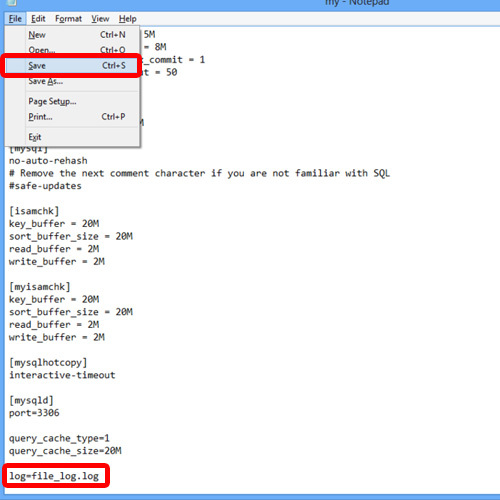 And this is how we can enable mysql query log.